I have now lasted almost 6 months of my ‘buy nothing new‘ thing. 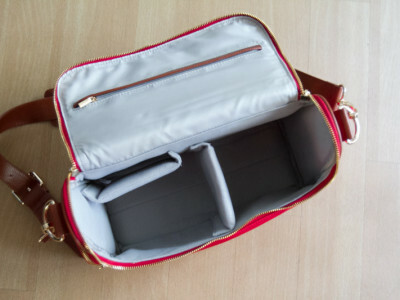 I have had to buy a few things here and there – things around the house that needed fixing, underwear and stockings, restocking my one bit of everyday makeup. But I have definitely avoided buying any new clothes, shoes or accessories, or the kind of little purchases that sneak in like cheap cosmetics. Instead I’ve bought a secondhand pair of jeans, made some curtains, mended a few old favourites, and knitted or crocheted some winter accessories. I did get given $20 to spend at Witchery for having a membership card, and debated whether spending it would be breaking my ban or not. 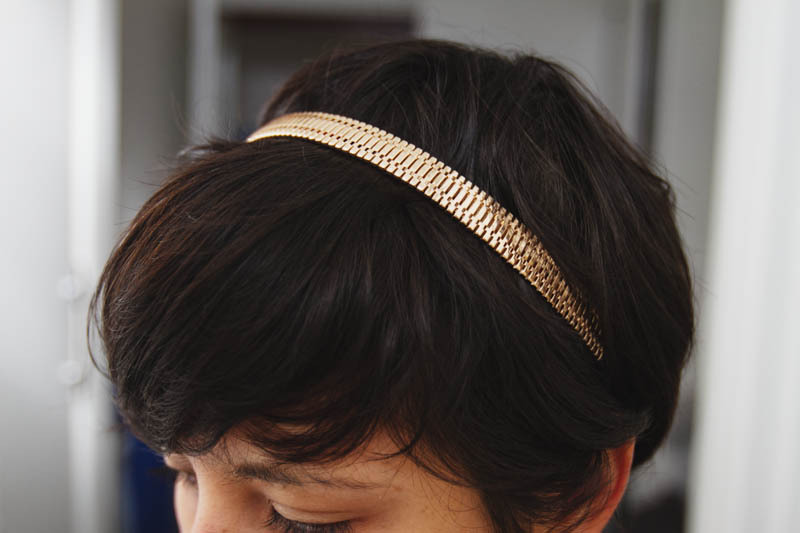 I decided to go for it since it was such a small amount – and bought the only thing I could find which was exactly $20, this gold headband. Kind of cheating, but at least I didn’t put in extra to buy something bigger right? A few weeks later they gave me another $20 credit, but I couldn’t find anything else that I actually wanted. Tempting as it was to just buy some cheap junk that I don’t want so it isn’t ‘wasted’, I don’t think that works with what I’m trying to achieve here, which is getting to a point where I only have and buy things that I love and need, without the excess. When I started this I had my doubts about keeping this up until the end of the year, but now we’re at the end of August (!) and I’m actually feeling pretty good about continuing. I think that shopping (particularly online shopping) is a habit just like any other, and personally I’ve found the habit much easier to break than bad eating habits! 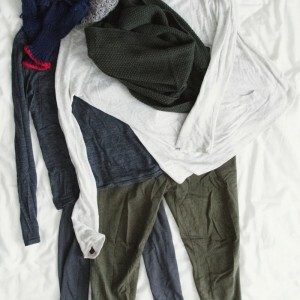 I’ve also been wearing my small collection of clothes in all the combinations I can think of, and keep finding new things I can do to make it feel less like I’m wearing the same thing every day. I have noticed the odd hole in my wardrobe, many of which are not things that I’ll be able to make myself or buy secondhand, but I think that having the rest of the year to mull over whether I really need those things is for the best. I’ve also started to think more about things that I can make – I’ll post up my ideas for things I want to try for Spring/Summer soon! The last time I tried this I made only one of the things on my list, the Pastille dress, but it has surprisingly become one of my go-to work outfits so I’d really like to have a go at adding more handmade clothes to my wardrobe. I think I’ll just have to be slightly less ambitious this time! Ooohh I love the gold detail on that! Good pick. I’d be on the side that it isn’t cheating to use a gift card on a spending ban – I mean, it’ll just expire! Good on you for sticking to it. I’m trying to as well for the sake of my end of year Asia trip. I can see myself going a bit crazy with clothes and accessories over there. I was on the fence as I’m not really on a spending ban but a shopping ban, and saving money isn’t my only reason for doing it. But I told myself that I’d only use the gift card and only get something if I actually liked it, which is why I’m just letting the second one lapse! I would LOVE to go shopping in Asia again… it’s so nice not having to shorten sleeves and hems, or hunt around for small shoes!